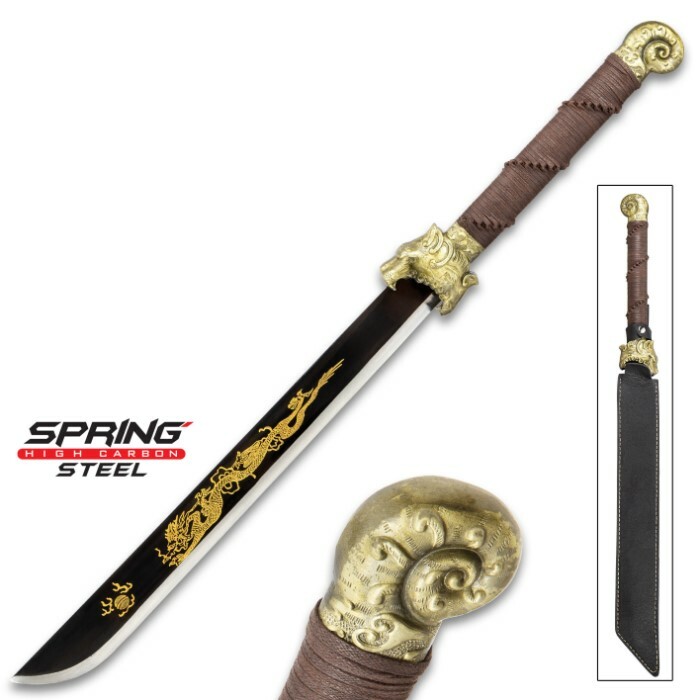 Ferocious and fatally sharp, the Sea Leopard Short Sword is a masterpiece of fantasy design, perfect for your fantasy sword collection. 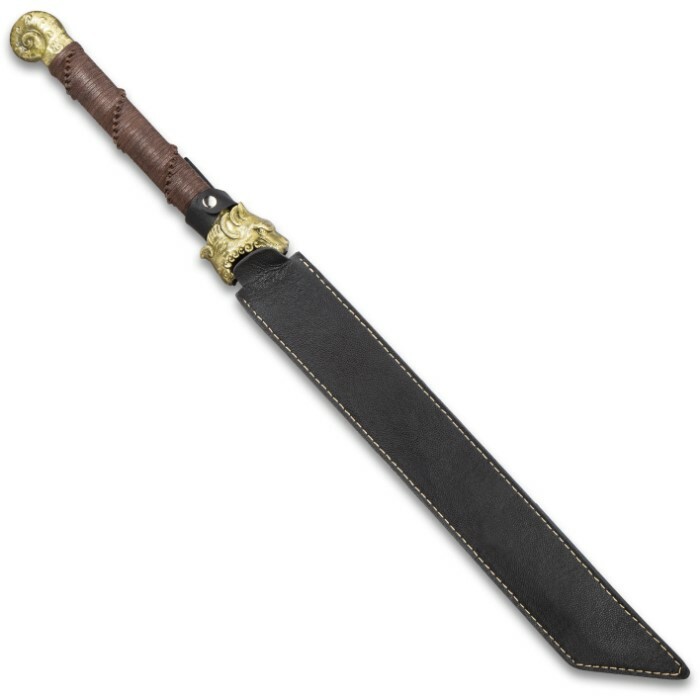 It has a two-toned, black and silver, 19 1/2” spring steel blade with a deeply etched sea monster in gold on both sides of it. Both pommel and handguard have been expertly cast in brass-colored metal alloy to portray the tail and head of a sea leopard with the blade coming from its open mouth. The sturdy TPU handle has been carefully wrapped in dark brown cord in an intricate design that also serves to give it a slip-free grip. The 30 1/2” overall short sword is housed in a black leather belt scabbard with an adjustable nylon shoulder strap and a snap closure.